It’s hard to imagine the destructive power of a privilege escalation vulnerability? 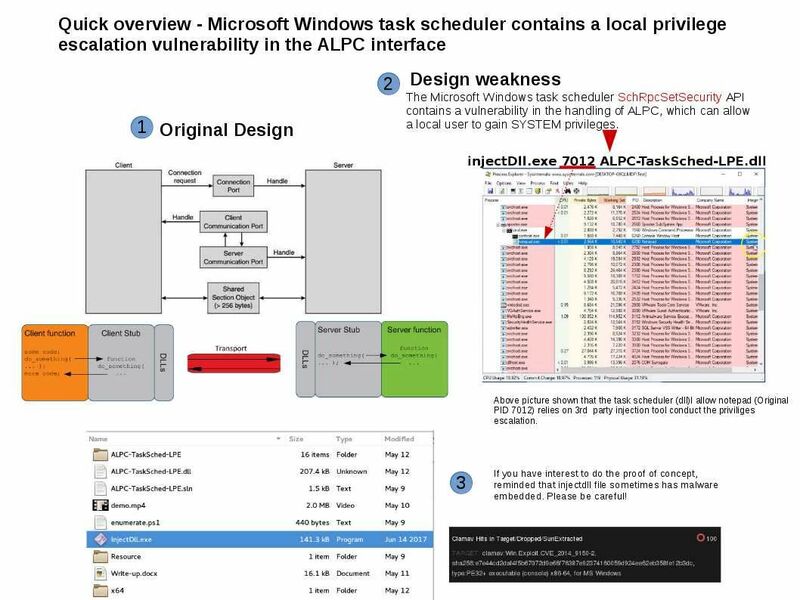 Security Guru found zero day or system design weakness in Windows OS system. It looks that zero day not rare issue but this time the first pier of announcement was not the vendor. May be we wait for next Patch Tue to do the remediation. In application penatration test environment. A path traversal attack not rare. Most common, it manipulating variables that reference files with “dot-dot-slash (../)” sequences and its variations or by using absolute file paths, it may be possible to access arbitrary files and directories stored on file system. Nowadays everythings aim to quick and simple. So thin client software design (web application) installed everywhere. And therefore Cisco have the following security advisory announce today. 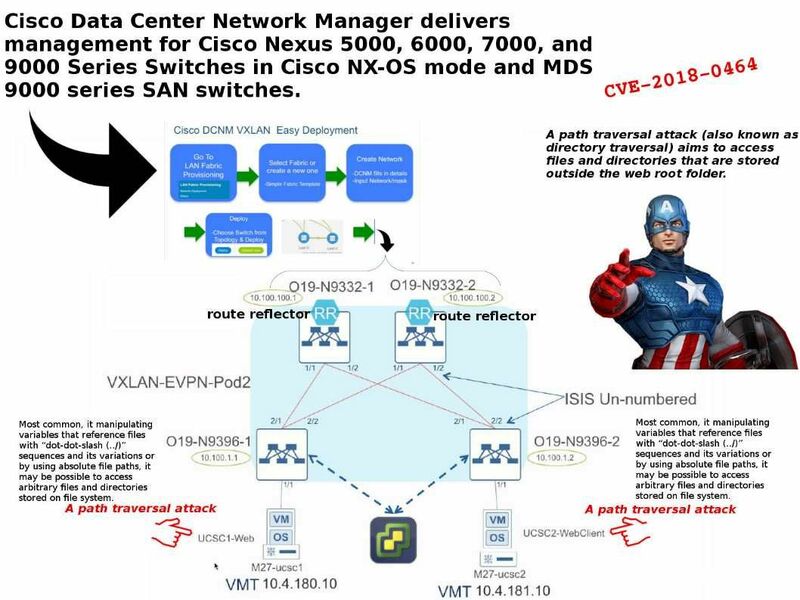 Invalid certificate on your remote access endpoint or a MITM attack presenting an invalid certificate compromise your workstation. We heard cyber attack causes privileges escalation. Thus technology expert in creative way discover many solution to avoid such behavior happen. Perhaps we are focusing the patch management, antivirus signature update, malware detector yara rules. 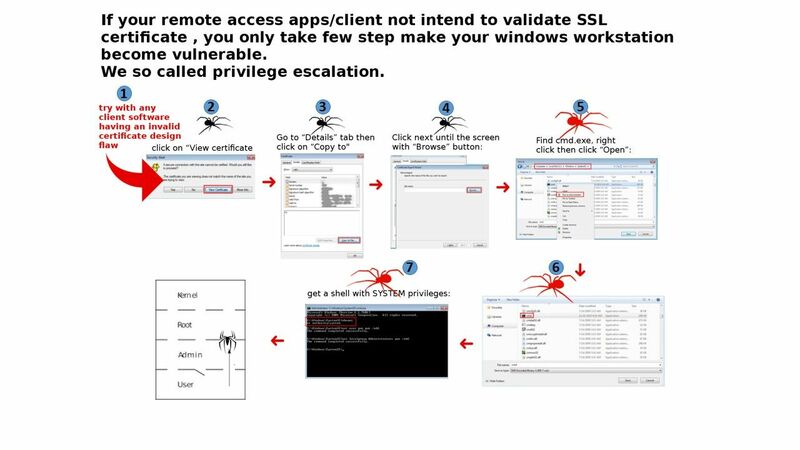 A silent way similar penetrate to your end point devices, even though server side will be compromised of this attack. Yes, we are talking about the Windows privilege escalation. Sounds like complicate, but it is simple on the other way round. If your remote client access software use SSL certificate establish TLS encryption. One of the possible way shown as below diagram. Be aware and stay alert! 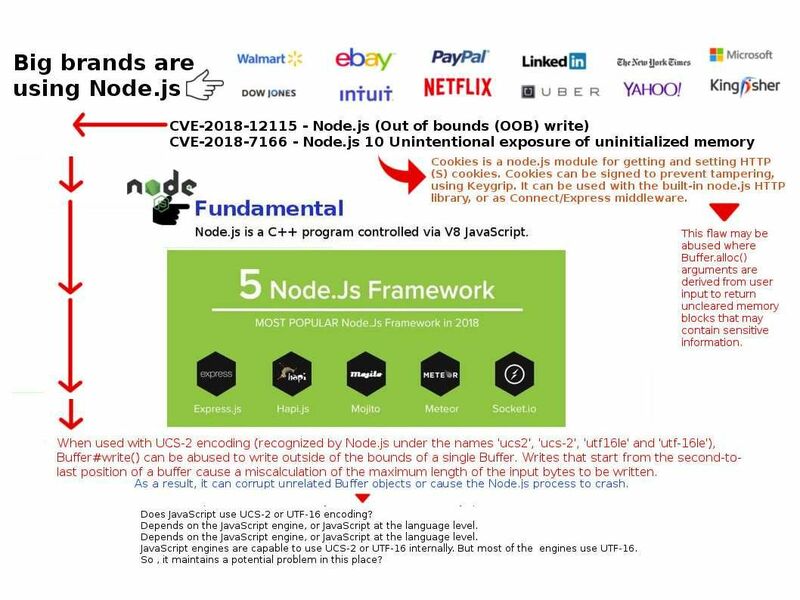 There are more products has this vulnerability but not exploit yet! 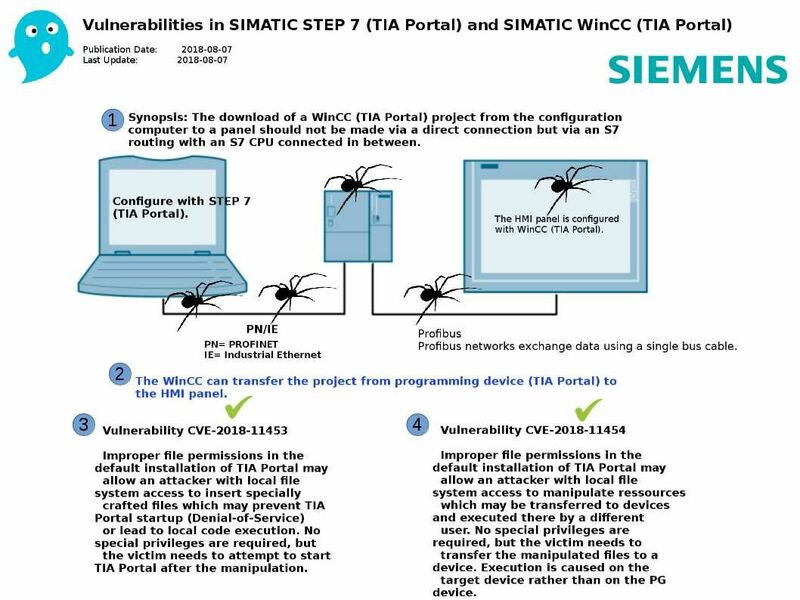 Above vulnerability looks complicated. 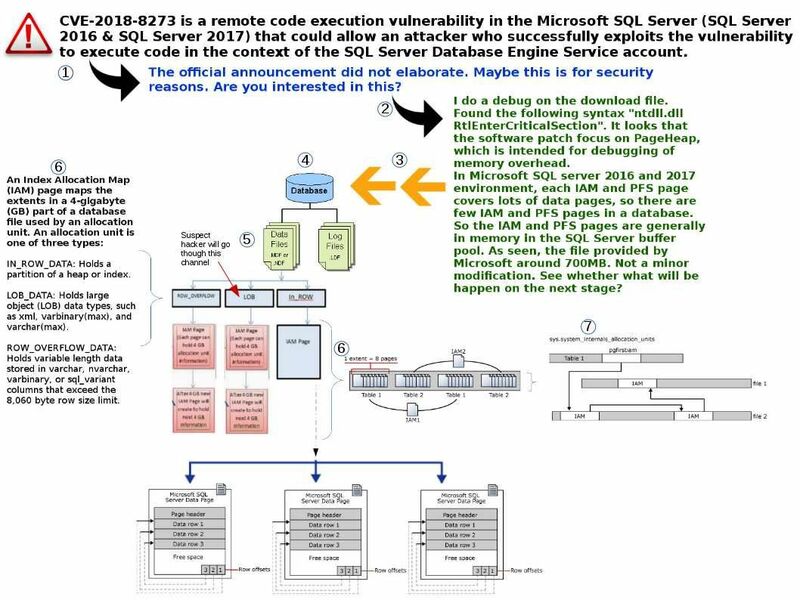 It is only effect SQL server 2016 and 2017. I do a debug on the download file. Found the following syntax “ntdll.dll RtlEnterCriticalSection”. It looks that the software patch focus on PageHeap, which is intended for debugging of memory overhead. In Microsoft SQL server 2016 and 2017 environment, each IAM and PFS page covers lots of data pages, so there are few IAM and PFS pages in a database. So the IAM and PFS pages are generally in memory in the SQL Server buffer pool. As seen, the file provided by Microsoft around 700MB. Not a minor modification. See whether what will be happen on the next stage? Should you have interest, please reference below diagram. Computerized Numerical Control (CNC) Machining is a method used to perform a wide range of manufacturing tasks, which are all carried out by computerized devices. … The new CNC machines were able to be controlled by programming language to carry out a wider variety of tasks with greater accuracy. Delta, a world-class provider of industrial automation solutions includes CNC. 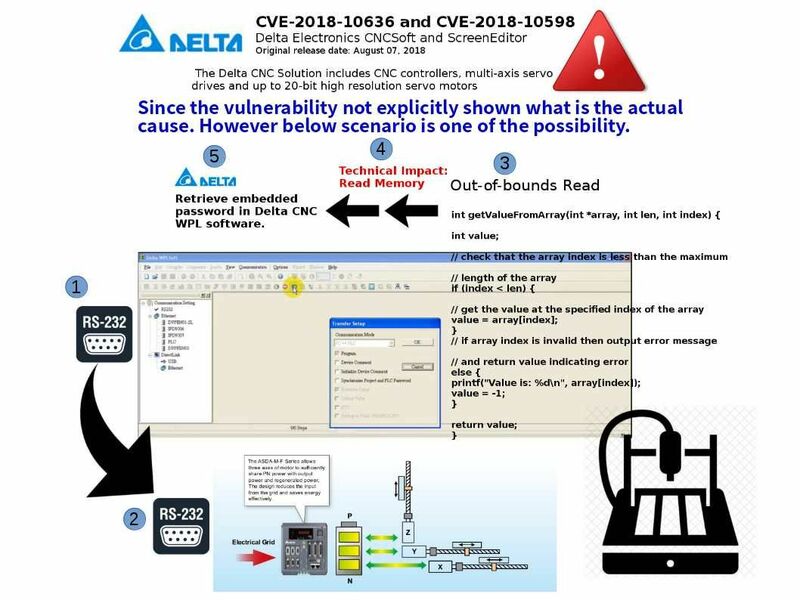 Found Delta CNCSoft Version 1.00.83 and prior with ScreenEditor Version 1.00.54 has two out-of-bounds read vulnerabilities and multiple stack-based buffer overflow problem. To my observation, CNCSoft application looks embedded with a password. May be there is another root cause. Adobe has released updates for Photoshop CC for Windows and macOS. 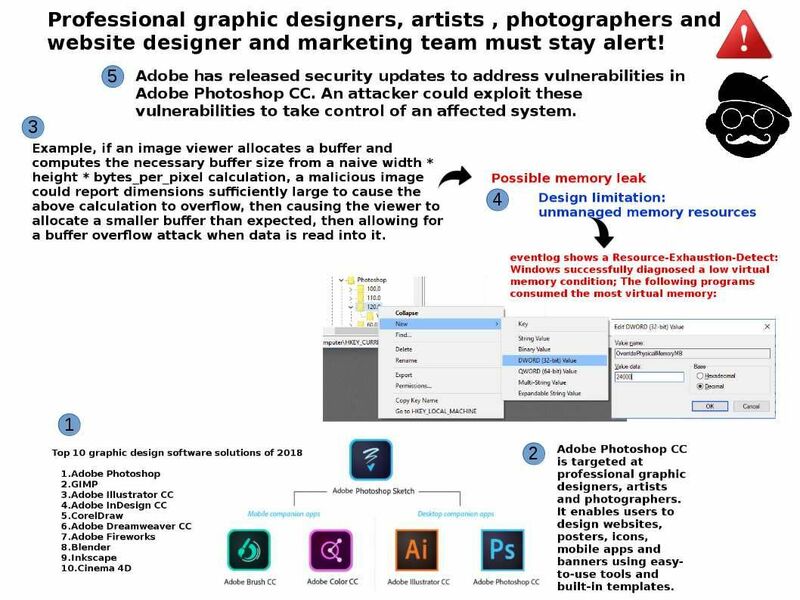 An attacker could exploit these vulnerabilities to take control of an affected system. See whether the picture can tell the story? New alert but old News! 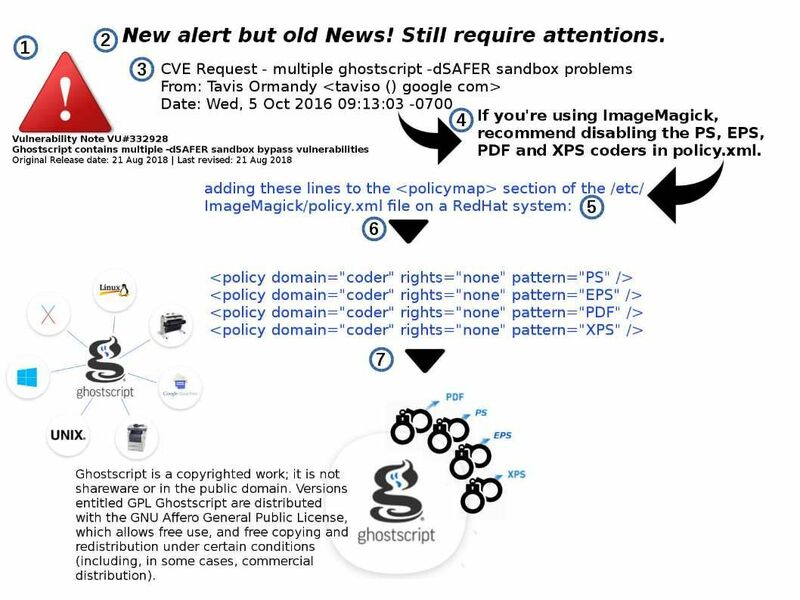 Still require attentions (Ghostscript -dSAFER)! The software expert keen to reduce memory footprint and improve their application performance.Java code can run on different systems, because it relies on the JVM, not on the operational system itself. This is the powerful function of Java plus JVM. Meanwhile, it let’s Java application developers and end users spreading around in the world. The virtual machine creates an independent platform on top of the operating system. Similar the situation of Docker in today’s cloud computing.The JVM is a “simulated machine” that can be installed on different systems. Furthermore, if vulnerability occurs in JVM. It will jeopardizing the related system facilities since the application run on top of JVM. 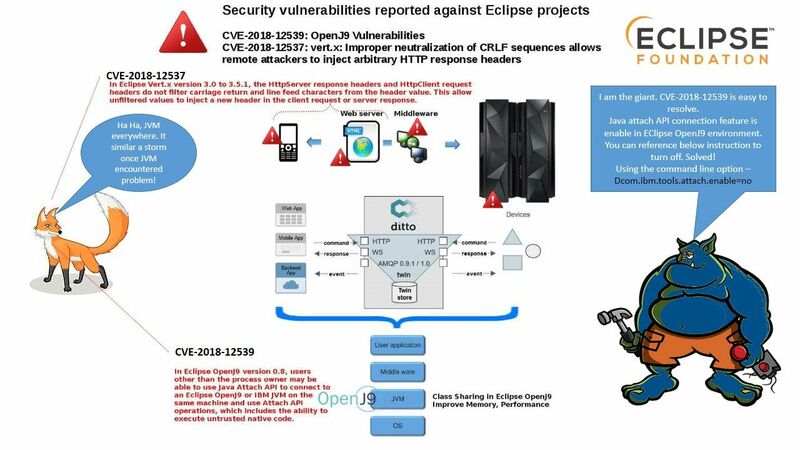 CVE-2018-12539 – In Eclipse OpenJ9 version 0.8, users other than the process owner may be able to use Java Attach API to connect to an Eclipse OpenJ9 or IBM JVM on the same machine and use Attach API operations, which includes the ability to execute untrusted native code. Remediation – Attach API is enabled by default on Windows, Linux and AIX JVMs and can be disabled using the command line option –Dcom.ibm.tools.attach.enable=no.